A new 3-in-1 Collagen Beauty Drink, developed by Pink Cloud Beauty Co, promises "an easy way to enjoy skin and hair boosting nutrients that can be difficult to consume regularly". 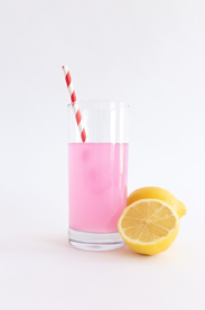 The pink lemonade flavoured drinks are a blend of active ingredients containing collagen, vitamin C and E, selenium, biotin and MSM (Methylsulfonylmethane) to nourish the body from within, promoting hair, skin and nail health. Collagen is a protein found within the body that has been linked to skin health, benefiting elasticity and boosting hydration. According to the company, MSM is known as a ‘beauty mineral’ and is an organic sulphur compound present in natural unprocessed foods. It is necessary for collagen production and works together with vitamin C to develop new healthy tissues, improving skin, hair and nail health. Biotin, also known as vitamin B7, is a water-soluble vitamin that contributes to the maintenance of normal skin, vitamin C contributes to normal collagen formation for the normal function of skin and cartilage, and vitamins C, E and Selenium all contribute to the protection of cells from oxidative stress*. Each sachet is sugar- and fat-free, and contains only seven calories. Its vibrant pink colour comes from beetroot extract and its pink lemonade flavour from natural lemon extract. Co-founder of Pink Cloud Beauty Co, Suzanne Wong, commented: “What we put into our bodies is just as important as what we do to our outward appearance, but it can be difficult to incorporate all the necessary nutrients into a daily diet. “Our vision is to make the most important vitamins accessible to those looking to boost their beauty. Through extensive research with industry experts we have perfected a beautifying blend of miracle ingredients that delivers complete hair, skin and nail nutrition in a convenient and delicious drink. “The drinks are a simple solution for catering to your health and remove the need to swallow bulky capsules or spend time measuring out powders with a scoop from containers. The 3 in 1 Collagen Beauty Drink prices start from £29.99 for 30 sachets.